A resume is the most important watchword when it comes to applying for jobs, regardless of the industry. Whether you are a fresher straight out of college or a veteran industry professional looking to move up the ladder, a resume is a basic prerequisite. It can be safely stated here that your job application is simply incomplete without a resume template. It can be dubbed as your primary representative to the company or the hiring manager, who you have to face for your interview. These templates are intended for personal use only. In case of commercial use, please give credit to this post. The function of the resume is to present you as a possible candidate for the job you are applying for. Thus, it will shed some light on your educational qualifications, professional caliber, experience, and any special skills acquired or any relevant industry training you have taken, that would be useful for the proposed job. In short, the resume template will highlight your knowledge base and all the hard and soft skills that you possess and have developed, which could leverage your potential as a prospective candidate before the hiring manager. Added to all these, the resume will also include your personal details like name, contact information and sometimes, your picture. Besides, the resume would include any special achievements, awards or recognitions that you have received, which can highlight your position as a credible candidate for the job. As mentioned earlier, your resume is your primary representative before the hiring manager and hence you have to ensure the best possible impression with your resume. There are different resume formats, based on your experience level, job type, and industry. Are you looking for guidelines on how to draft a striking resume? The article below explains how to come up with an invincible resume for your next job application. Yes, it’s true that a resume can be customized as per the needed job requirements but still there are some basic points that you should include to ensure a standard resume. Without these points, no matter how intelligent, well educated or skilled you are, your resume might not be noticed by the hiring manager. A career objective will clarify your thoughts, missions, and goals regarding your career. Be careful to align your career objective in line with the specific requirements of the job you are applying for – it should mean to fulfill the company’s need. Do not go for a generic objective. Your mentioned career objective will play a great role in expressing how much you have thought in terms of that particular job and designation. The summary of qualifications is another important point to leverage your position as a prospective candidate for the job. It is meant to state the different kinds of training and experiences that you have gathered, which could be relevant for the designation you are applying for. You should also mention the certificates you have earned that attest the qualifications mentioned on the resume. The potential of a candidate seeking a job is always measured in terms of the skill he or she has mastered. Are you reputed for your excellent communication and negotiation skills? Does your boss always praise you for your fantastic team-work attitude? Does your office team want to have you as their leader always? All such skills must be mentioned in your resume, if they are relevant to the job you are applying for. Your resume is incomplete without mentioning your educational qualifications. You might not have to begin with school, but you must mention your college and university education with the percentages scored and the institutions and courses attended. A graphic resume would be mostly embedded with different graphic elements. These include infographics, charts, and graphs to discuss your personal and professional skill sets, talents, experience graphs and so on. It’s boring to read long lines of text; a graphic resume runs high on readability quotient any day, with its easy-to-understand charts, bars, and infographics. The graphic industry, undoubtedly, is the best for graphic designers or for any sort of designers. It can also be used by software professionals. However, it’s better not to be used by academic professionals. Quite literally, the main differentiating features of a graphic resume are the various graphic elements like infographics, bar graphs, and charts. Unlike regular resumes, they do not have long lines of text. Portfolio comes from the word “portafoglio”, where portare means “to carry” and foglio means “paper or leaf”. Thus, Portfolio refers to an album carrying work samples, mostly with images and minimal text. 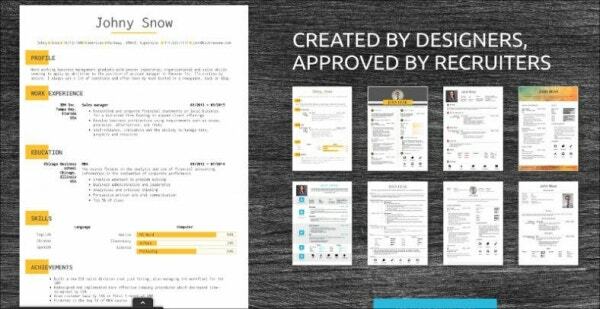 When you have to present a visual representation or samples of your work, which cannot be exactly described in words, a portfolio is the best form of resume for you. A portfolio resume is especially meant for those professionals who need to prove their caliber through visual presentations of their works such as photographers, artists, and designers like fashion, website, and graphic designers. Unlike the regular resumes, the most important features of a portfolio resume lie in the pictorial representations through images, website screen shots, on-site media data, as well as letters or praise from the distinguished clients. A clean / basic resume format follows a minimalistic approach. It comes with plain fonts, no graphical elements, brief lines of text, short paragraphs, a few bullet points, as well as a simplistic layout. When you are looking for a resume that needs to cover the basic details of your career, a clean resume is the best thing for you. It’s simple yet professional. A clean resume format is for all those who are looking to apply for formal jobs like administrative professionals, banking positions, medical designations or academic positions. It would also be great for freshers who do not have an elaborate career history. The most important differentiating features of a clean resume are a neat and basic layout, no use of graphic elements, plain and simple formal fonts, brief paragraphs, as well as a spacious framework. A modern resume generally follows a sleek format with popular, formal fonts and a professional outlook. It must be machine-readable. Such resumes usually stick to a neat and clean structure. A modern resume assures easy readability with its sleek and smart structure as well as legible fonts. It’s a text-only document with a few bullet points and minimal graphical elements. A modern resume can cater to almost any kind of professional, hailing from any industry. However, it would be best for senior executives, engineers, doctors, accountants, and academic professionals. 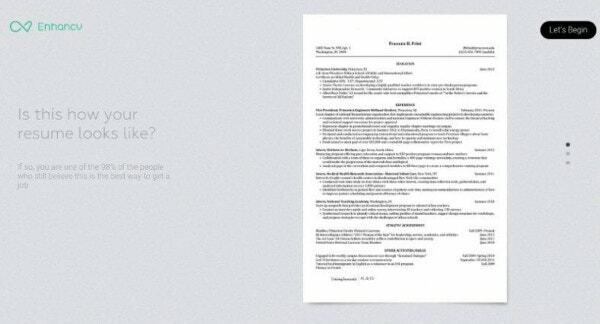 The most important differentiating feature of a modern resume is that it’s always a text-only document and does not necessarily include the image of the applicant. And, it’s remarkably formal. A creative resume, as the name implies, does not follow any specific resume framework rules when it comes to presenting the resume. It can take the form of a Facebook Timeline Page, a soda glass, and so on. 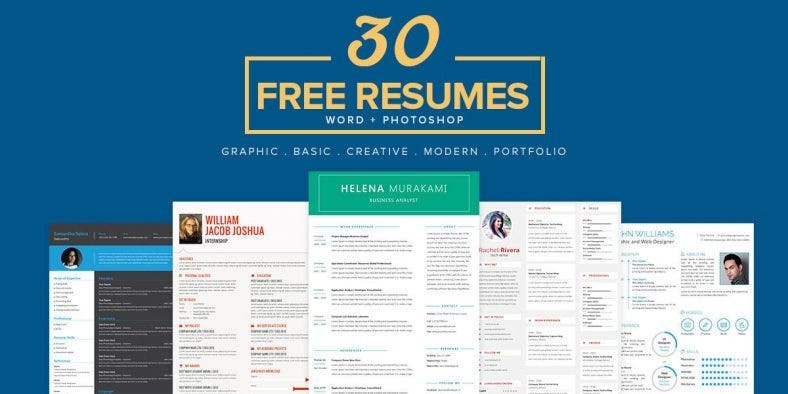 A creative resume format enables you to prove your amazing creative instincts right from your resume, which you can present in any form or structure. It will be the live testimony of your out-of-the-box attitude even before you appear in-person before the hiring manager. 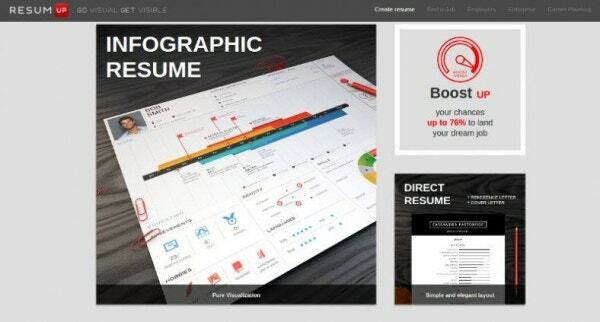 A creative resume is aimed at all those professionals who are looking for jobs in the creative sectors. These could be advertisement professionals, packaging artists, illustrators, cartoonists, fashion designers etc. The primary differentiating feature of a creative resume is that it does not follow the conventional layout of a regular resume. Such resumes can take any form, shape or structure. A resume plays a crucial role in helping you to land a job. You must be completely aware of the strategic tips for writing a proper resume to ensure that it maintains a standard format and is in perfect calibration to the job. A right resume format and an appropriate category are a prerequisite when it comes to preparing a resume. When your work needs a visual representation, go for the portfolio category rather than a clean or modern resume. The hiring managers have a lot of resumes to go through and hence you have to include proper keywords in your resume to ensure that it is easier for them to understand your key potential, skills and qualifications at a glance. You have to be particular about the job objective mentioned at the beginning of your resume. Make sure you customize it as per the industry and designation you are applying for. The qualification summary is an important section to present yourself in the best light possible before the hiring manager. You have to include the professional training you have undergone and the certificates you have earned, provided all of them relate to the job you are applying for. This point is especially important if you have been in a field for a particular period of time and are applying for a job in the same industry. Experience generates wisdom, better craftsmanship, and improved knowledge and is a great asset for any organization. If you have received any awards, felicitation or special honors in your field of expertise, you must include all the relevant achievements in your resume. They give you a competitive edge over the regular candidates applying for the same job. Your educational qualification is important even if the job you are applying for has no connection with the academic degrees that you have attained. You have to mention the degrees along with the percentage obtained, as well as the name of the institutions you have graduated from. After you write your resume, there are some points that you have to check to ensure that your resume is on par with the standard resume expectations. Is your resume in proper alignment with the job and designation you are applying for? Is your resume legible enough, with a neat structure and readable font? Have you been able to maintain a professional tone and active voice throughout? Are there any grammar, spelling or typo mistakes? Is all the contact information given correct and professional? Have you included relevant skills and hobbies? Does your resume contain a clear and tailored job objective? When it comes to writing a standard resume, most of the people turn to the internet for reference. Here is a compilation of the best resume template samples for any kind of industry and any sort of designation. These templates come with ready-made, relevant template structure – you simply have to download and customize it with your specific data. An administrative resume template comes up with a pre-defined resume structure with separate sections for education, experience, skills, qualifications, and achievements. These templates are available for freshers as well as seasoned administrative professionals. Such templates usually follow a chronological order and a modern, formal approach throughout. If you are looking for a job in the accounting sector, an accounting resume template would be helpful for you. Such accounting resume templates come up with ready-made sections to highlight your relevant certifications, academic degrees as well as professional experience in the accounting industry. You will find resume templates for both accounting managers and clerks. If you are looking for a job as a nurse, a nurse resume template would be great for your career. Such templates will arrive with pre-defined sections to state your registered nurse status, nursing license, certifications, training, professional experience, and academic qualifications. Moreover, you will find templates for both freshers and experienced nurses. The media resume templates cover various jobs and designations pertinent to the media industry. You have journalist resume templates for both print and telemedia. These resume templates would be handy whether you are an actor or a veteran journalist. Besides, the media templates even cater to aspiring and seasoned anchors. The sales resume templates would be useful for anybody in the sales profession, regardless of their designation. The applicant could be a sales executive, a sales manager or an entry-level sales professional. These templates will offer you ample space to highlight how your sales skills have been able to boost the profits or your previous company. There is a wide range of resume templates for teachers to choose from- whether you are an elementary school teacher, a pre-school teacher, a middle school teacher, or a high school teacher. You will also find teacher resume templates for assistant and substitute teachers. Many of these templates are available for free. The maager resume tenmplates come with a large variety to choose from as per your industry and experience. Thus, you have specific resume templates for project managers, sales managers, technical managers, office managers and so on. Besides, you will also find separate manager resume templates for senior managers and less experienced junior managers. 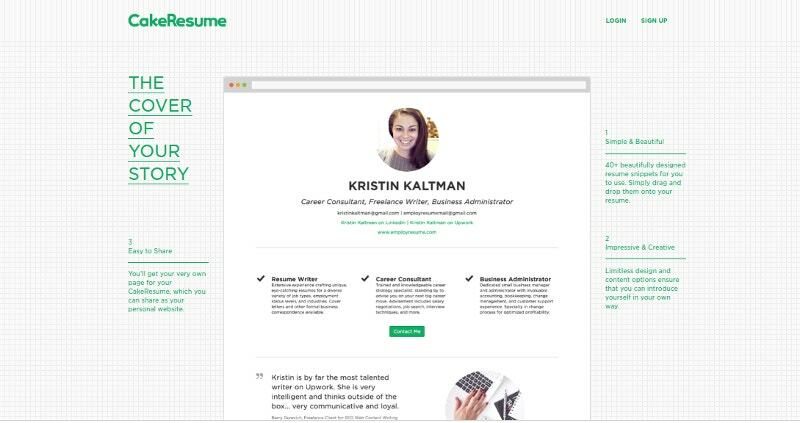 You will find a great range of developer resume templates today that cater to different forms of developers. Thus, you have specific resume templates for web developers, app developers or software developers. 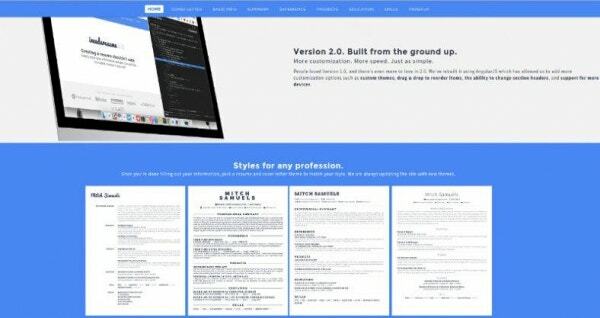 For app developers and website developers, it’s best to take to a portfolio resume template as it will allow you to showcase your work with pictures. If you are a golf caddy and looking to prepare a resume for your next job, then it would be good to opt for a golf caddy resume template. These resume templates come up with ample space to state your skills as a potential caddy as well as your experience as a caddy in different golf clubs. The template scene online is bustling with a wealth of photographer resume templates to choose from, based on your type of photography. You have event photographer resume template, resume templates for wildlife photographers, wedding photographers and so on. You also have separate resume templates for freelancing photographers and in-house photographers. When it comes to chef resume templates, you have a large variety to pick from based on your experience and cuisine. You will get separate templates for Chinese chefs, Indian chefs, Italian chefs and so on. Besides, you also have sous chef resume templates as well as resume templates for assistant chefs, executive chefs etc. There is a huge range of doctor resume templates to pick from, based on your specialty and experience in the medical industry. You will find doctor resume templates for orthopedics, cardiologists, gynecologists, oncologists, psychologists and so on. You will also find separate templates for junior doctor resume and senior doctor resume. A fresher resume template will generally follow a functional structure, where it will allow you to focus on your relavant skills and qualifications for that particular job. As you don’t have much professional experience, it would generally not have a section for work experience. An acting resume template would come up with separate sections for the different media where you have showcased your acting skills- such as theater, films, TV, and radio. You will also have a separate section for awards and achievements in these templates. There are separate resume templates for beginners in the field. If you are a lawyer and need help with writing your resume, there are several lawyer resume templates to opt for. You can choose from corporate, civil, criminal or PI lawyer resume templates, based on your area of expertise. There are separate resume templates for junior lawyers as well. You have to be accurate to the point when it comes to writing a resume. But are you too busy to draft your entire resume by yourself? Or do you need help and guidance in creating a standard resume format? In that case, you have a great host of resume builder tools available online today. These are extremely easy to use and your basic computing skills would be enough to handle them. These tools are meant to organize and arrange your professional and academic data into a standard and efficient resume format. Flashy resumes and sesquipedalian way of writing will not fetch you the desired position. Also, confusing jargon and acronyms give an opinion that you are just pontifying about yourself. Hence take an expert’s help. “Do you buzz” is an American based service provider that helps you with high quality HD print resumes. Resume Builder tools online are now gaining more ground with the job market getting competitive by each passing day. 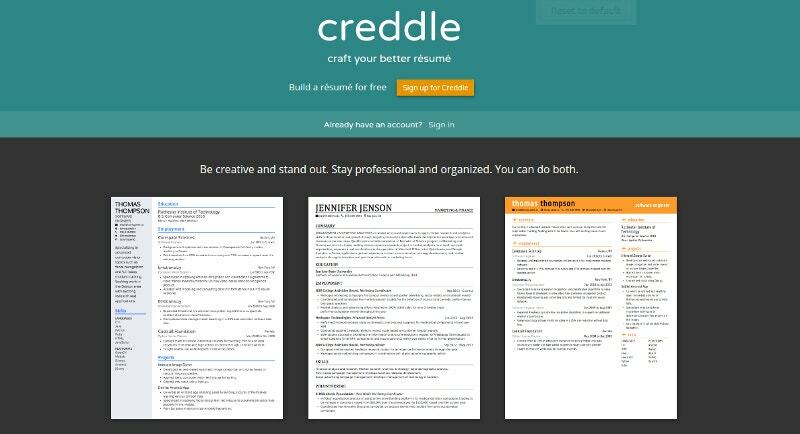 “Your CV Builder” is another web-based resume weaver, who crafts resumes on demand. Try to avoid mentioning lengthy descriptions (which resemble a Life Insurance Sales Person presenting a 75-slide demo) and make sure your writing style is grounded, as far as possible. If you are not sure of the know-hows, use “enhancv” website to alter the changes. Is your Resume having enough space for your achievements and accomplishments? If not, visit “Cvs intellect” website. The amicable tour would certainly leave an impact. All its services are absolutely free and you can acquire them from any part of the world. Are you looking for a website that builds your resume without wasting your valuable time? 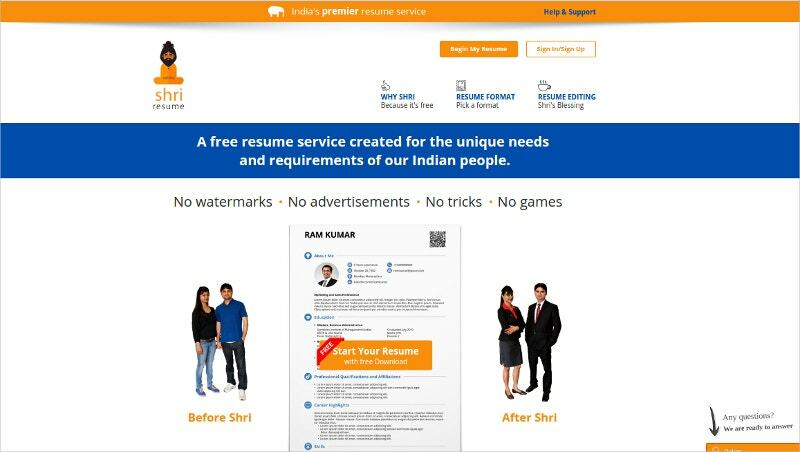 Then “Kick resume” is a fastiduous and accurate resume building website. 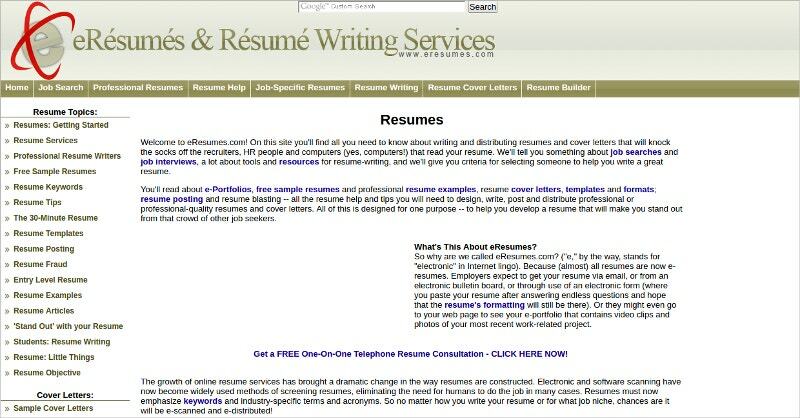 The site quickly takes you through some fine and good examples of resumes. How nice it would be if you have the option of selecting multiple formats for your resume? ‘Represent.io‘ has brought that facility with ease. Browse through many, select one, and have fun. This resume builder has something to boast about. ‘Resumup‘ has been nominated as the best visualization resume maker for the year 2017. Use this to create brand new resumes. 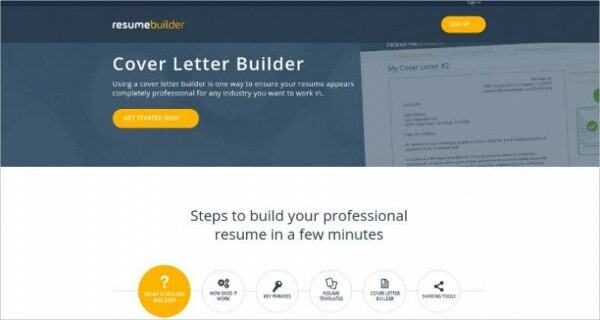 Have you ever visited this ridiculously easy to use resume builder? It opens the doors to a good job. Double your chances of getting interview calls now and win the job you deserve. 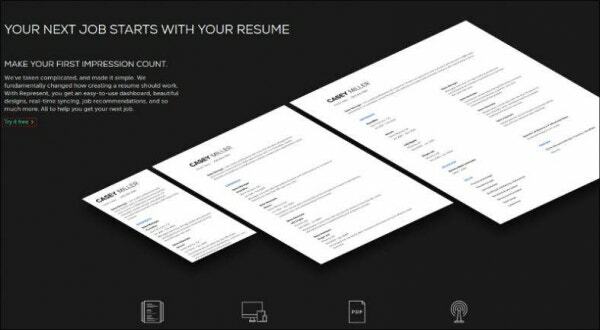 With CV Maker, you can generate, modify, save, and download your resume in multiple languages. You can even add sections as per your wish. 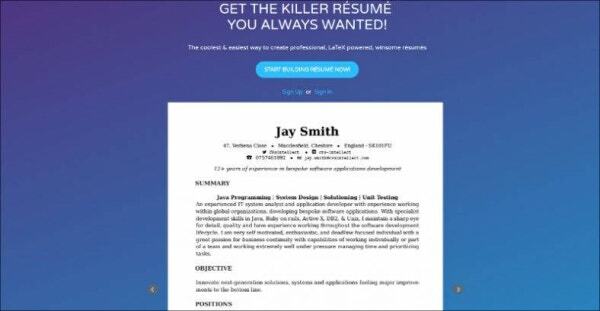 Create your desired resume in minutes. 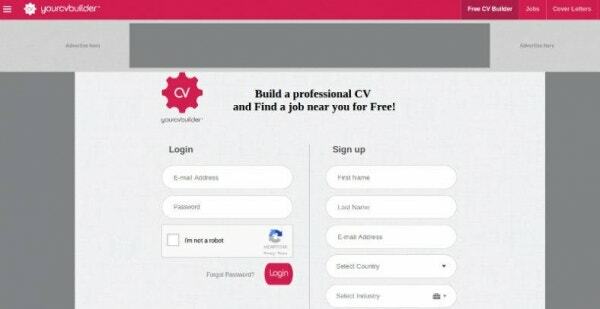 Welcome to the No.1 Job site, ‘online cv generator‘. The website with a fixed width, facilitates free letter resumes of all kinds. Get the fully formatted CV from the scratch within minutes. Many failed to understand the purpose of a resume and showcase their pedantry in the resumes. No wonder, their applications hit the store room. 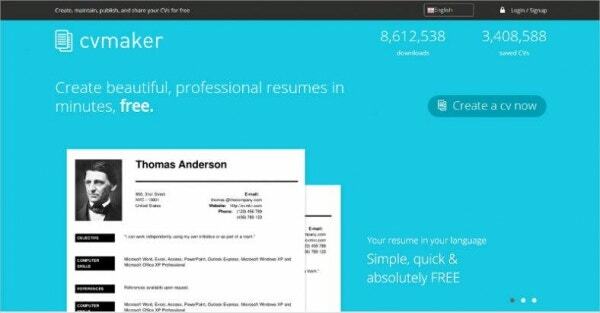 What if a personalized resume builder with great finesse comes to your service at a minimal cost? ‘Craft resumes‘ website is that and more. 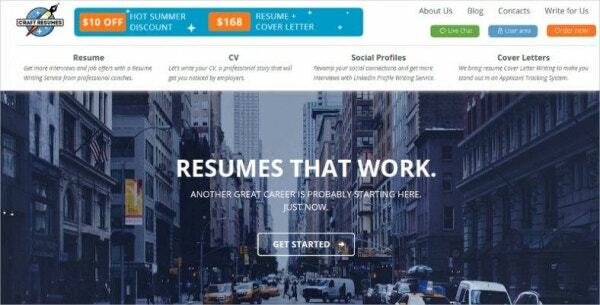 Indeedaresume is a Resume builder who also creates cover letters. Go to the Dashboard and fill the fields with your details as per the sections. Once you are done with, click ‘done’ and you would be really done with your resume. If you think that preparing an Academic Resume is an easy job, think over it again. Eresumes came along the field and is aware of the areas which are more likely to be identified by the recruiters. Are you keeping in mind the fact that your application is all about seeking a ‘short span attention’? If yes then, get it trimmed down with the experts as per the needs. Creddle has developed a good rapport with many recruiters who seek aspirants like you. Thus, your resumes are just one push away in most cases. 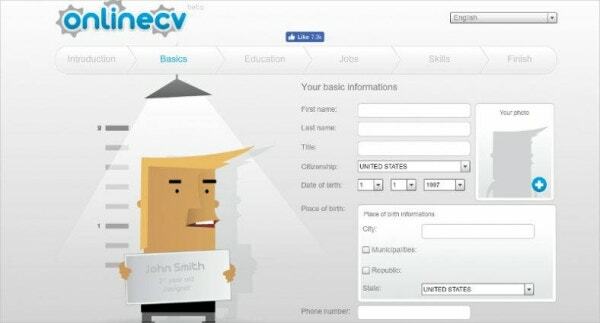 Visualcv simplifies the process of narrowing down your search and applying for a job. Just get registered and fill in the details. You can count on them till you set up an interview with your employer and establish a career in your desired field. An experienced resume should have umpteen things to cover. Alongside the professional contour and career conduit, the resume should depict the technical acumen and the language section. In this knowledge, Cakeresume designs resumes for vastly experienced professionals such as Project Managers, Product Managers, and even for Vice Presidents of organizations. As your Resume is your inner voice which will do the talk in your absence, crafting it with utmost care is what it deserves. 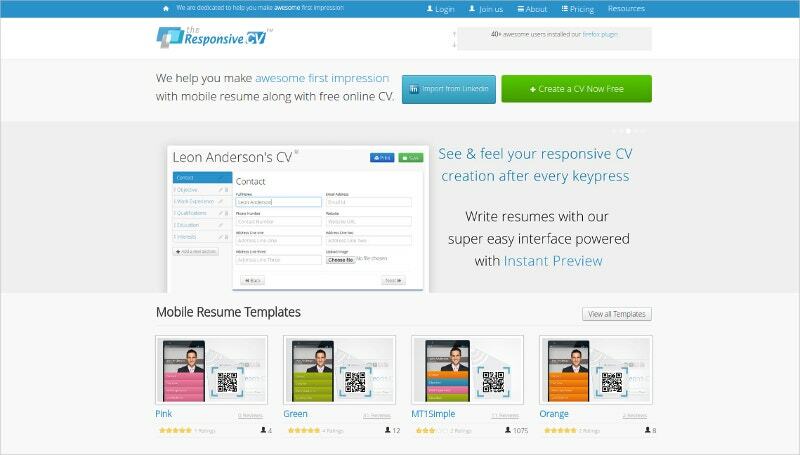 Theresponsivecv designs responsive resumes that perfectly blend with all devices. Your resume stands as ‘the’ reason why you are called for a job. Hence craft it carefully. 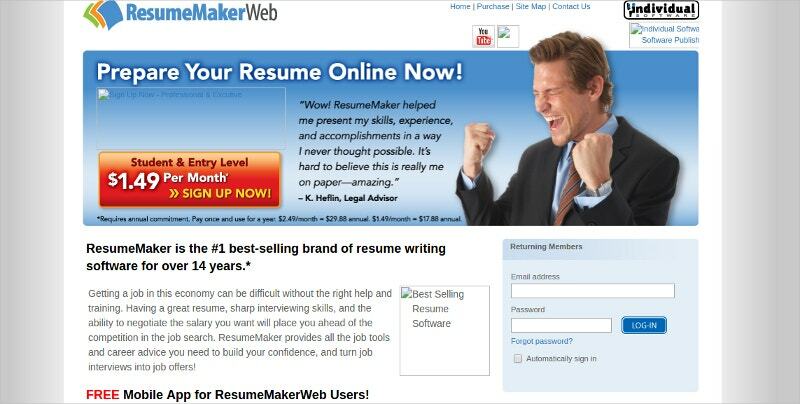 Resumemaker makes sure that your precious time is not wasted in trial and error method. Don’t disparage the value of a Resume. Download it today from professionals. Make your first point of contact and your testament, bullet proof. Shriresume helps greatly in all your resume needs. Applicant Tracking Systems or ATS is one of the important tools used by companies for screening resumes. Around 50% of mid-sized companies, as well as all the MNCs employ an ATS for scanning the pile of submitted resumes. Also known as “Candidate Management System”, ATS can be defined as a handy software application which is geared to help enterprises by efficiently screening the incoming applications for a job opening. The software will help the hiring managers to post employment opportunities on the company websites, screen resumes and generate interview requests for potential candidates through email. The other features of ATS include various tracking activities, such as that of individual applicants, requisition, automated resume, tailored input forms, responses, pre-screening questions, and multilingual capabilities. How does it affect the way your resume is screened? One of the main functions of ATS is to screen the candidates’ resumes. Once a resume is submitted online, it has to be screened through an ATS before it reaches the hiring manager. ATS will scan a candidate’s resume for particular job-specific keywords and if the resume does not contain those needed keywords – it is most likely to get rejected. In fact, this database-type program helps the employers in storing and organizing, as well as screening, sorting, keeping a tab and replying to each resume received. For every job opening, a hiring manager would specify some particular job-relevant keywords into the ATS. As the resume goes through an ATS, it will start looking for those pre-programmed keywords in your resume and if it cannot find an adequate number of those, your resume would be outright rejected. Submit your resume online in .txt, .docx or .doc format. Text must be simply formatted and legible. Don’t forget to include job title on your resume. Place “email” and “phone” before relevant information. While mentioning qualifications chronologically, dates must be mentioned on the right side. Be careful when you are using accented words. Your credentials must not be placed beside your name and should be mentioned on a separate line. Don’t use too many font sizes and types. Make sure there are no spelling mistakes and typo errors in your resume. Make sure to include specific job-related keywords. Proper capitalization and punctuation are a must. Don’t forget to submit a customized resume. How to identify the keyword to get past the ATS? Job titles that you have held or currently holding; and the job title which you are aspiring for – Manager, Assistant, etc. Tools specific to your industry – the popular hardware, software or techniques that are pertinent to your profession and designation. Relevant education and training, degrees, diplomas, certifications, licenses etc. Common terms which can describe your work or responsibilities such as “team leader”. The acronym for Curriculum Vitae, CV, translates to “Course of Life”. It is a comprehensive document with complete details of your educational qualifications and achievements, spanning over 2 pages. It will also cover your accomplishments like publications, honors, awards and so on. It maintains a chronological approach throughout. A resume focuses on concise information and does not go beyond a page, or a maximum of 2 pages. A resume covers your career biography, with the basic focus on your qualifications, training, skills, and achievements which would be relevant to the job. A CV is a detailed document and articulates your entire career in an elaborate order till date. It can be a document of 4 pages or more. A resume is always short, and mostly limited to 1 page. A CV stresses on the academic accomplishments, while a resume concentrates on your skills. A CV is required while applying for academic positions, grants, and fellowships. A resume is required for applying for a job in an industry. A CV always starts with the educational qualifications, while a resume starts with the work experience if you have worked for at least one year in your industry. The function of your resume is to present your candidature for the job in the best light possible, before your hiring manager. Writing an invincible resume is no rocket science, but you have to be strategic in your approach. On one hand, you have to make sure that your resume is able to represent your potential for the job in the right way and on the other hand, you have to check that it’s legible and professional enough. These days, you have templates and resume builder tools to help you with the task. You should ensure that your resume is customized to the job you are applying, and be strong enough to withstand the scrutiny of the Applicant Tracking Systems.